Your windshield is crucial to the performance and safety of your vehicle. Keeping it in ideal condition will allow it to function properly. 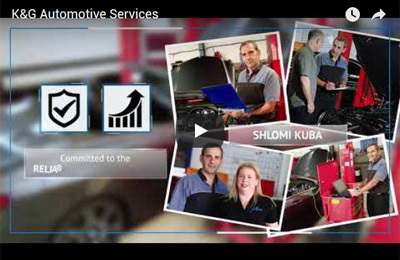 Routine inspections of the glass should be a part of your total car care. There are some simple things that vehicle owners can do to prevent windshield damage and maintain the integrity of the glass. While the windshield was originally created to protect drivers from debris and wind while driving, it is one of the most important safety features on an automobile. In the event of an impact, your windshield prevents passengers from being ejected and more seriously hurt. It also provides support for the airbag system and will prevent the roof from caving in during a rollover. Keeping your windshield in good condition will ensure that you are receiving the full benefit of its safety features. Repair all chips in the glass quickly. Stones, sand particles, and road debris can hit your windshield while driving and cause small chips or dings in the glass. While these fractures may hardly be noticeable, they can spread into large cracks fairly quickly. Changes in temperature or rough driving conditions can cause a small ding to grow into a crack that can impede your vision and compromise the safety of your vehicle. An auto glass professional can easily repair most small chips. Many times these repairs are covered by insurance and are free of charge to the consumer. Park under a shelter whenever possible. Protecting your vehicle from falling debris and direct sunlight will prevent damage and extend the life of your windshield. Small cracks in the glass can quickly spread when there are considerable differences in temperature on either side of the windshield. Sudden storms can cause hail, tree limbs, or flying particles that may fracture or weaken the glass. Parking in a shaded and covered area is always the best choice. Avoid slamming your car doors. When you slam the doors on your vehicle, it can cause the windshield to vibrate. These intense vibrations can cause small chips on your windshield to expand and spread, making it necessary to replace the glass. Crack your windows when you park in the heat. Cracking your windows prevents the heat from building up in your vehicle on hot days. Too much heat can cause small chips to expand. Make sure your wipers are working properly. 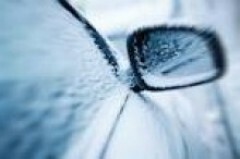 Windshield wipers remove debris and precipitation from the glass allowing the driver to have a clear, unobstructed view of the road. It is important to check your blades regularly for cracks or damage. Replace them as needed to avoid scratches to your glass. Be sure to refill your washer fluid as well so that you will have it available should you need to clear bugs or road debris from your view when traveling. Be careful when you clean. No harsh cleaners are necessary when removing dirt and grime from your windshield. Use a soft cotton cloth to apply a gentle product, like vinegar or alcohol to the glass. Avoid ammonia-based products as they may damage the window tint and the fumes can be dangerous if inhaled. Remember to make routine window glass inspections part of your total car maintenance plan. Following these simple tips will help your windshield stay strong and prevent the need for glass replacement in the future.